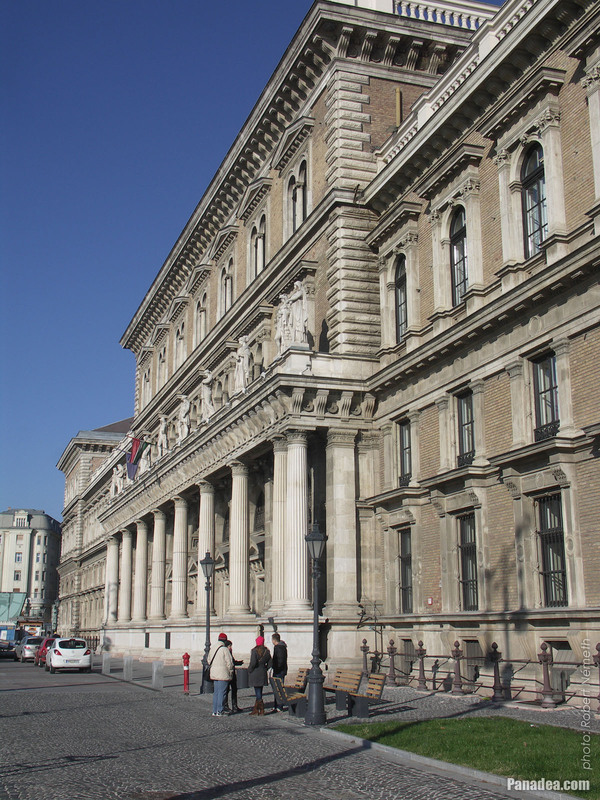 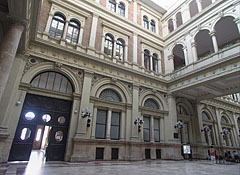 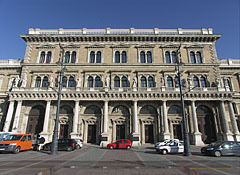 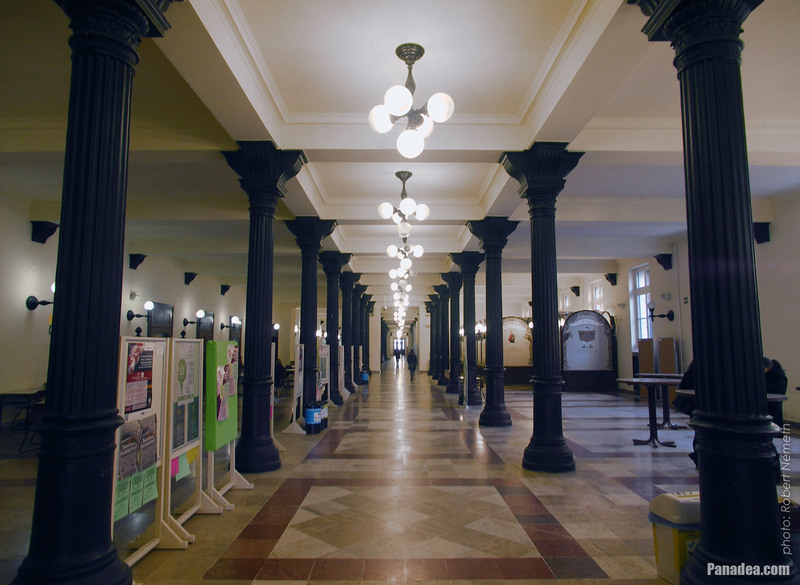 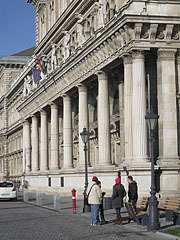 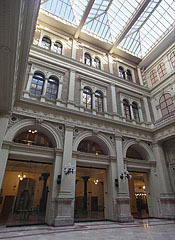 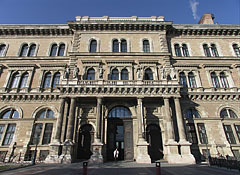 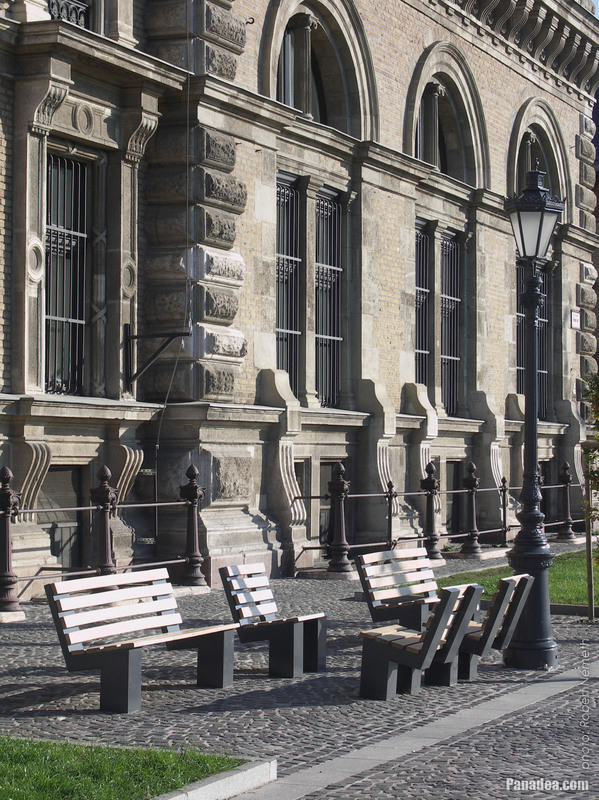 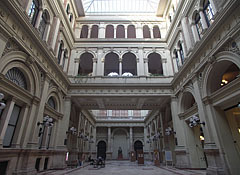 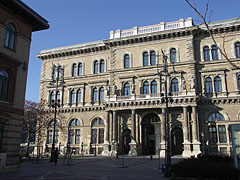 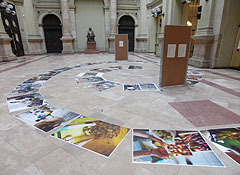 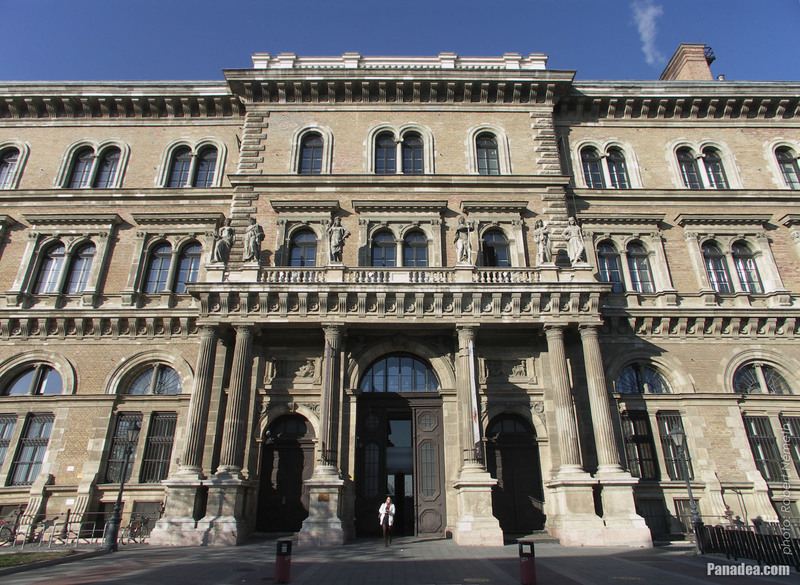 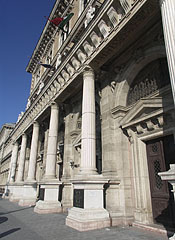 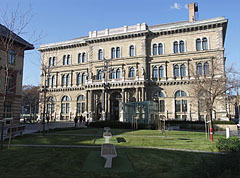 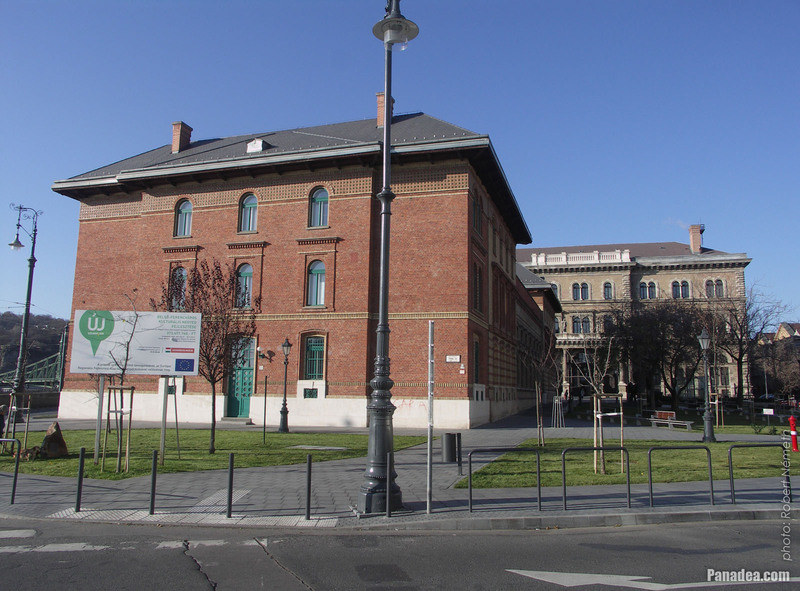 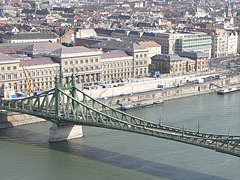 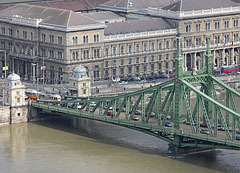 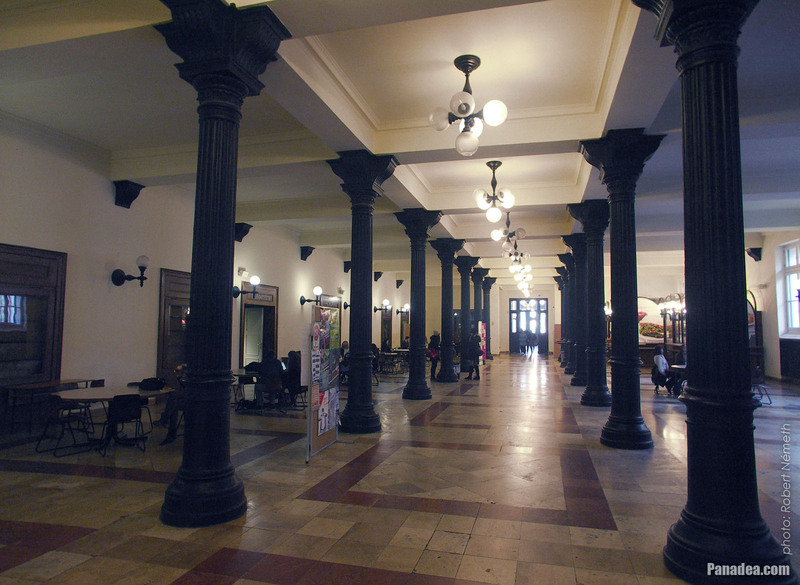 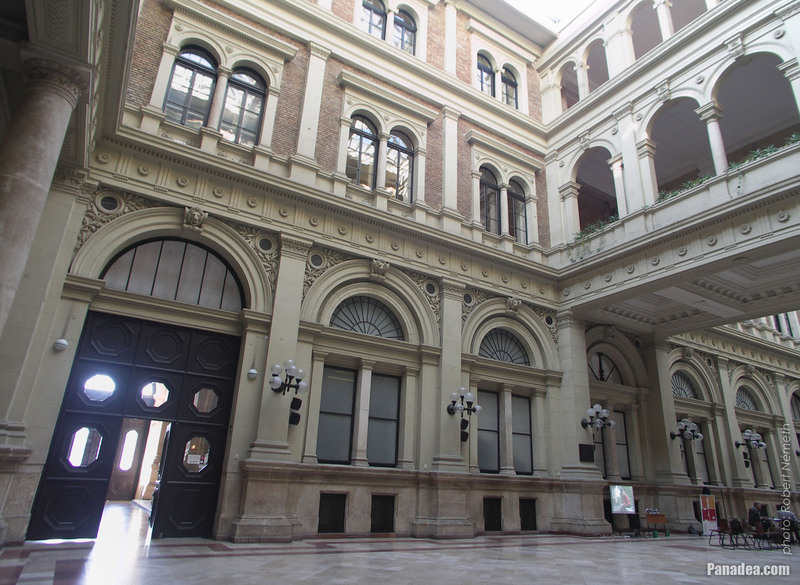 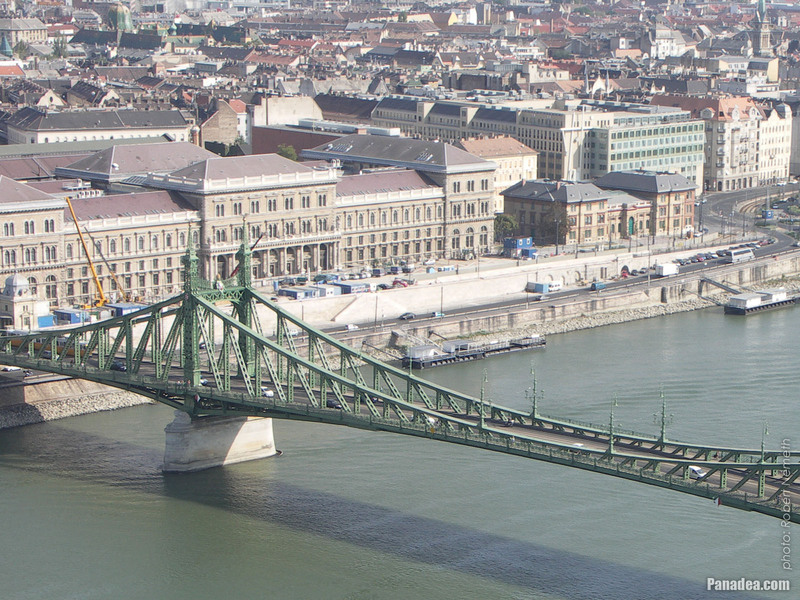 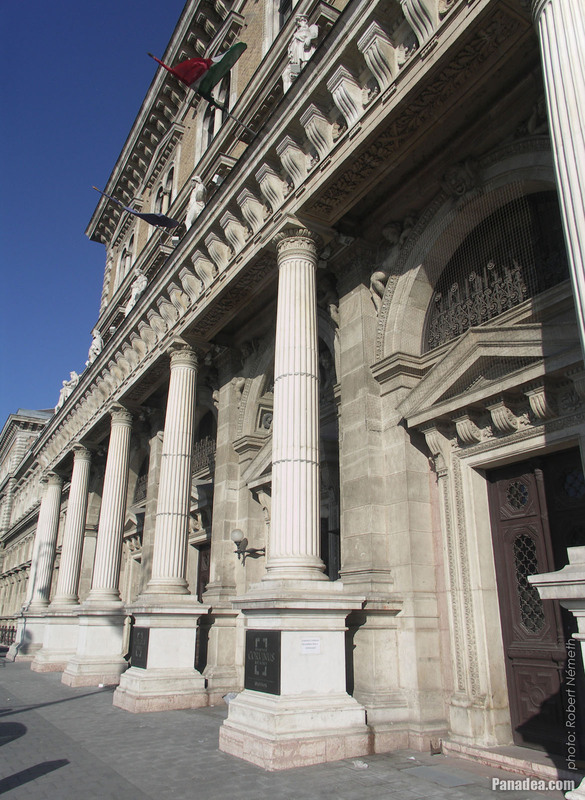 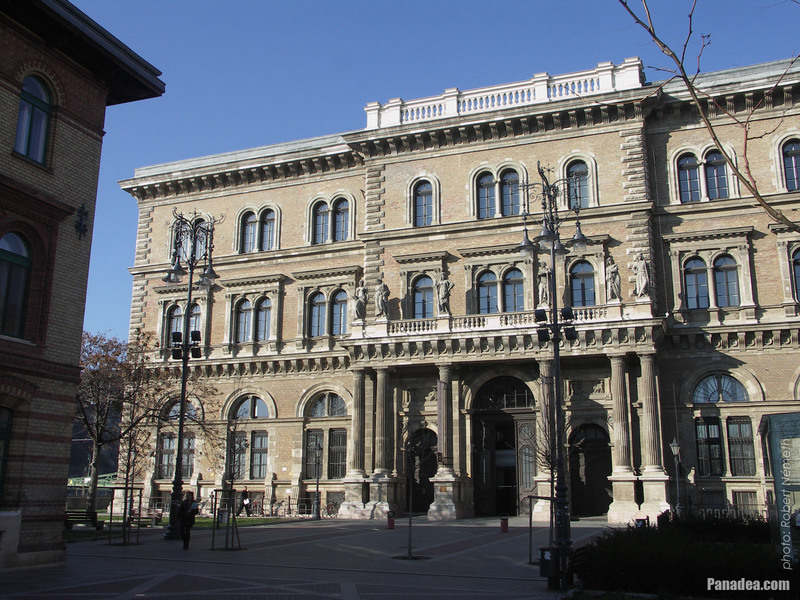 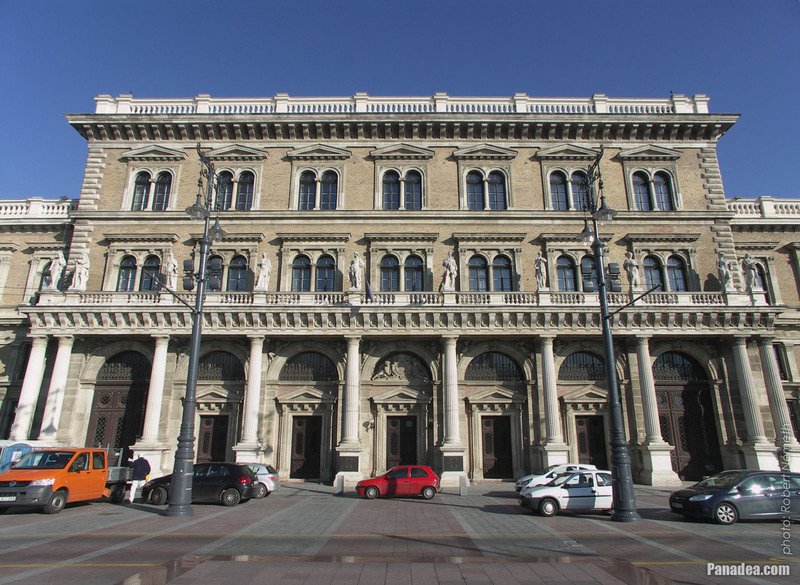 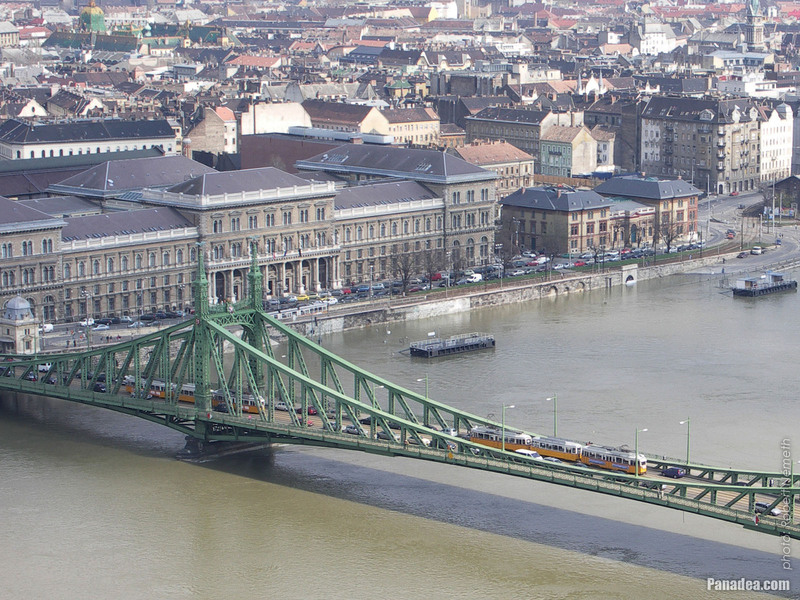 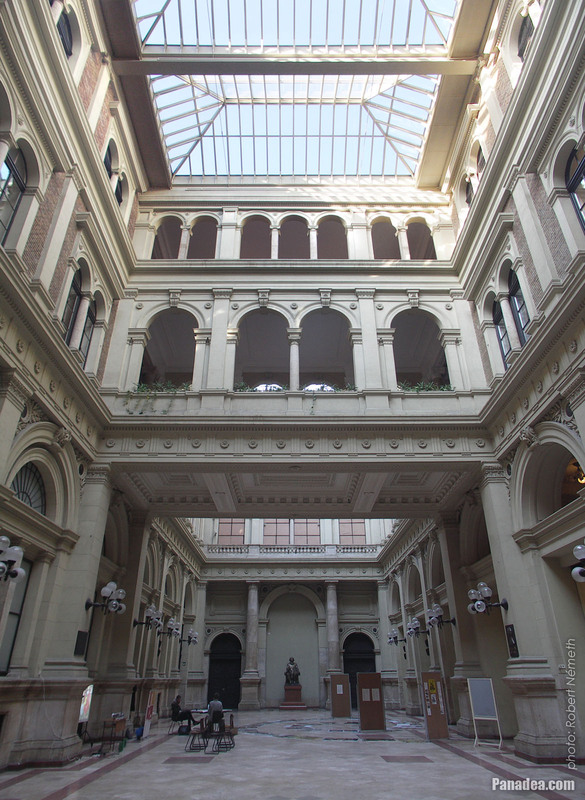 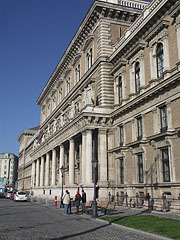 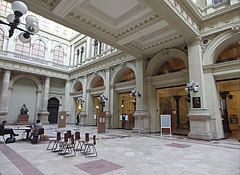 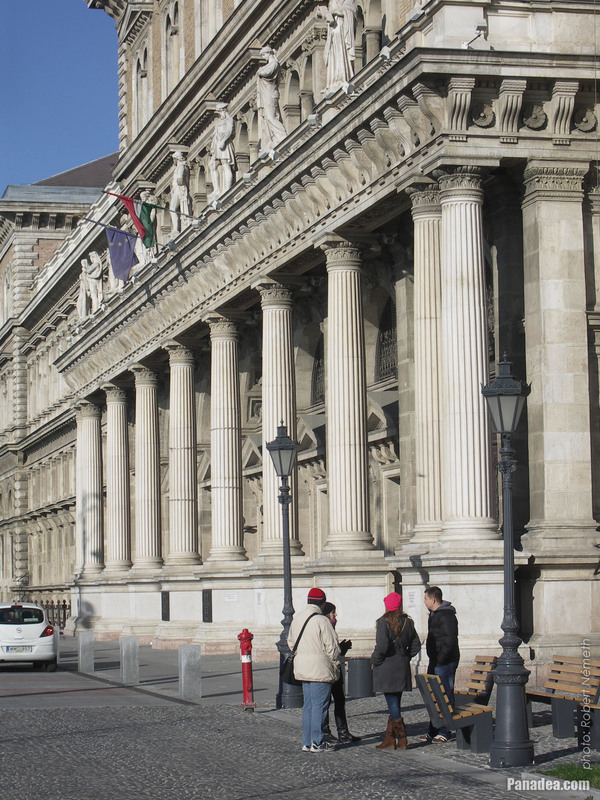 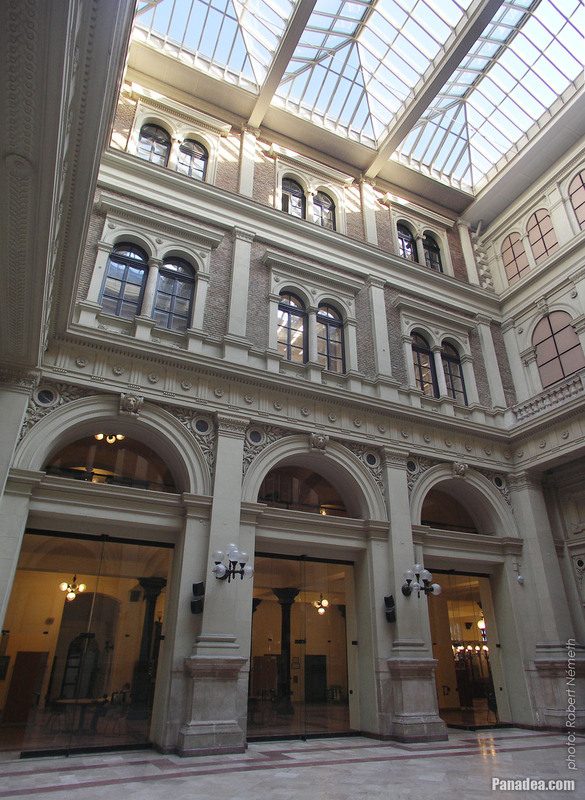 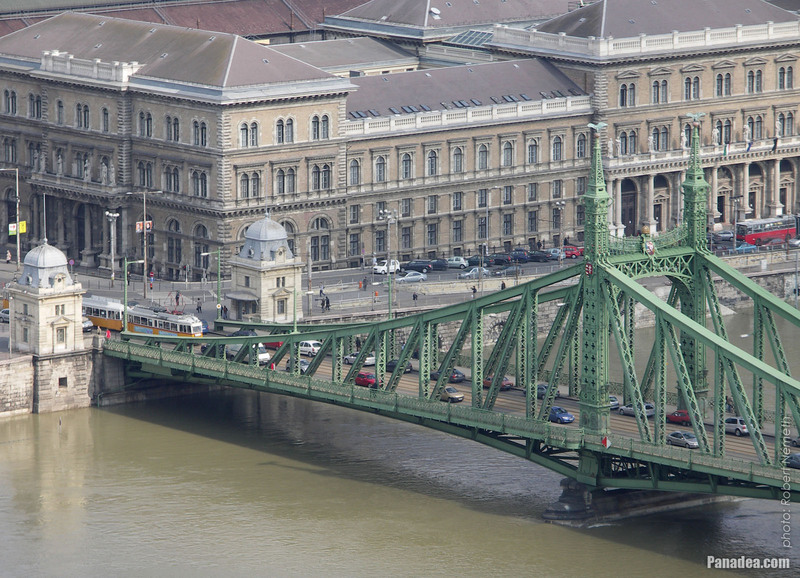 Until the World War II it was the palace of the Main Customs Office, in Hungarian "Fővámpalota", designed by Miklós Ybl, built between 1871-1874. 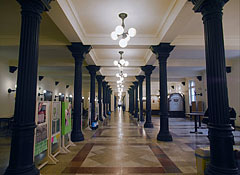 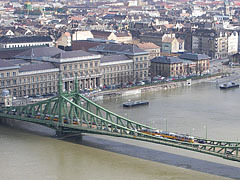 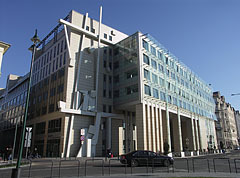 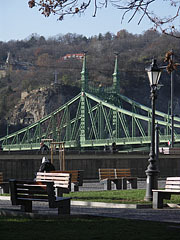 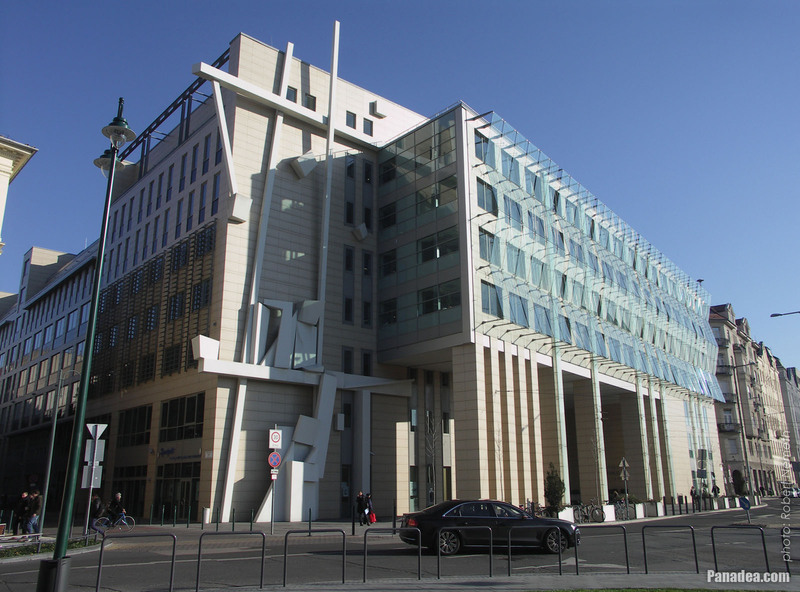 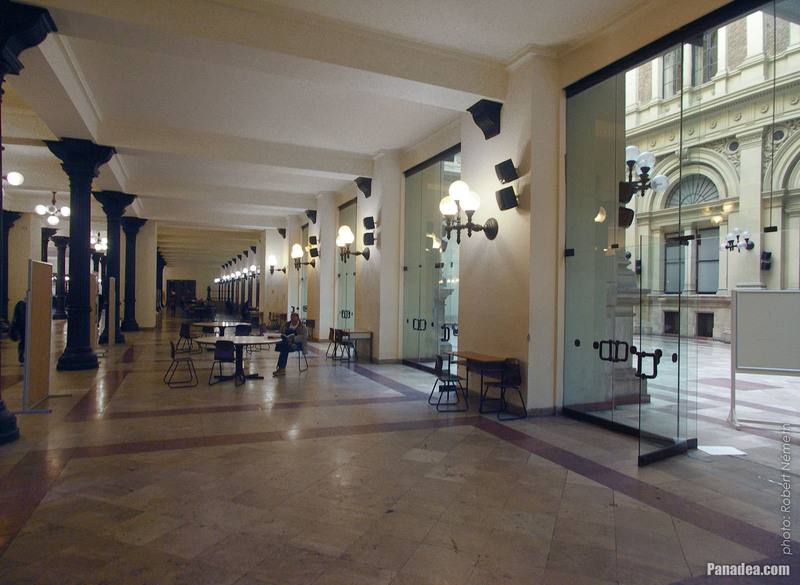 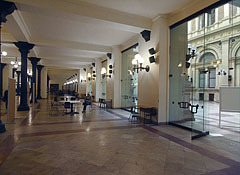 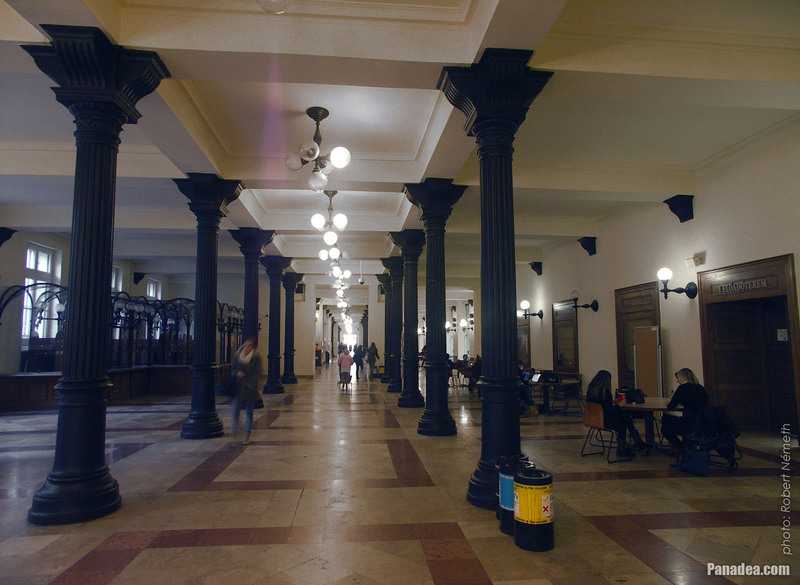 The modern building was completed in 2007, designed by prof. Antal Lázár, dr. Zoltán Oláh M. And László Szerdahelyi. 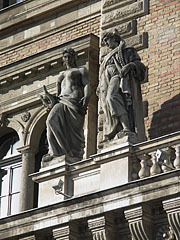 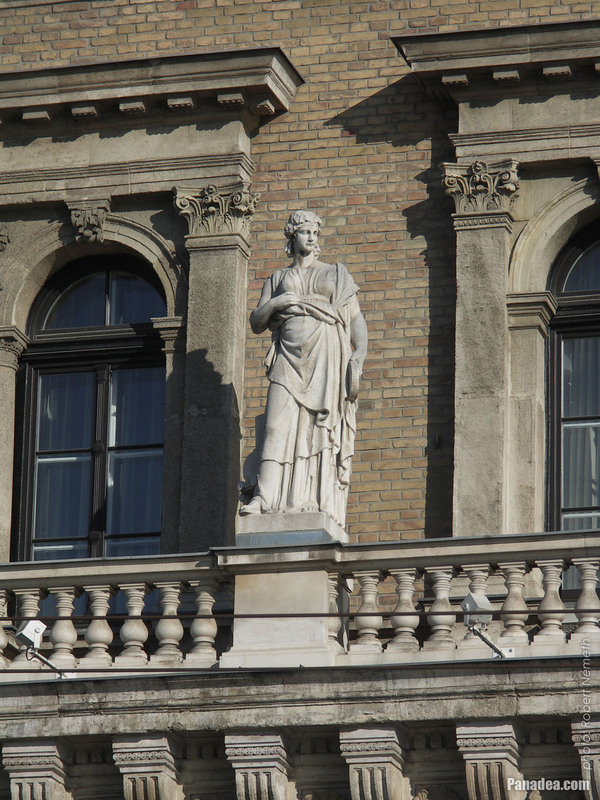 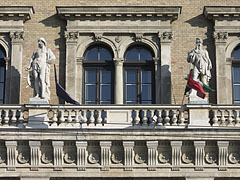 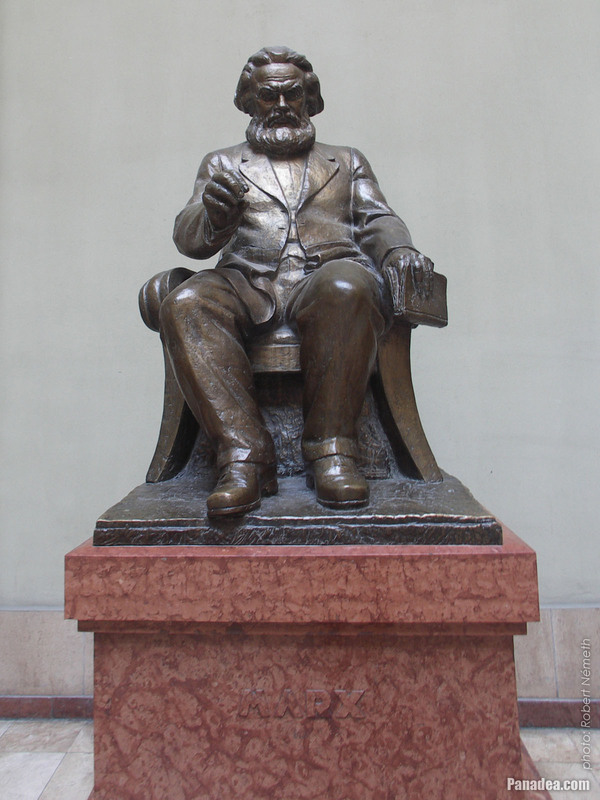 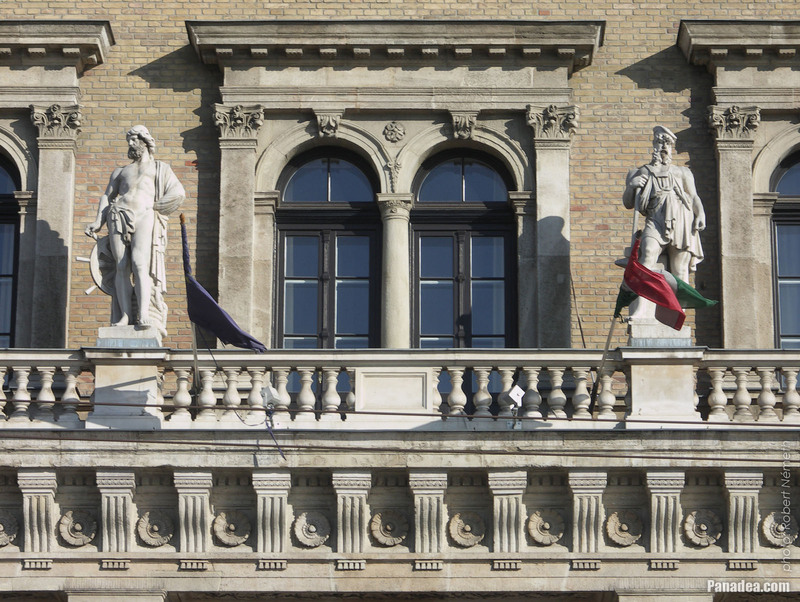 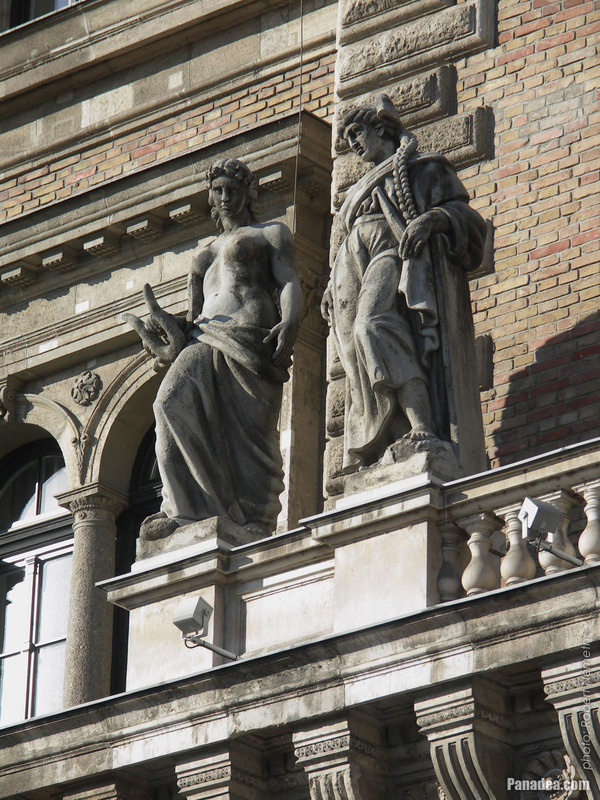 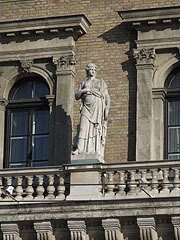 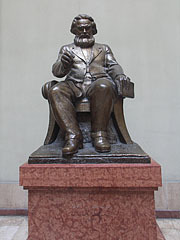 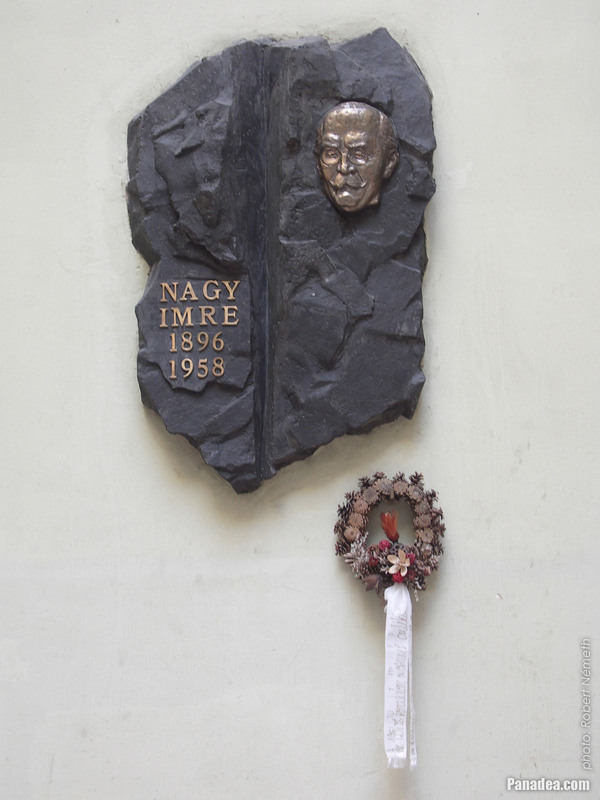 The statues on the buildings were all created by Ágost Sommer in 1874. 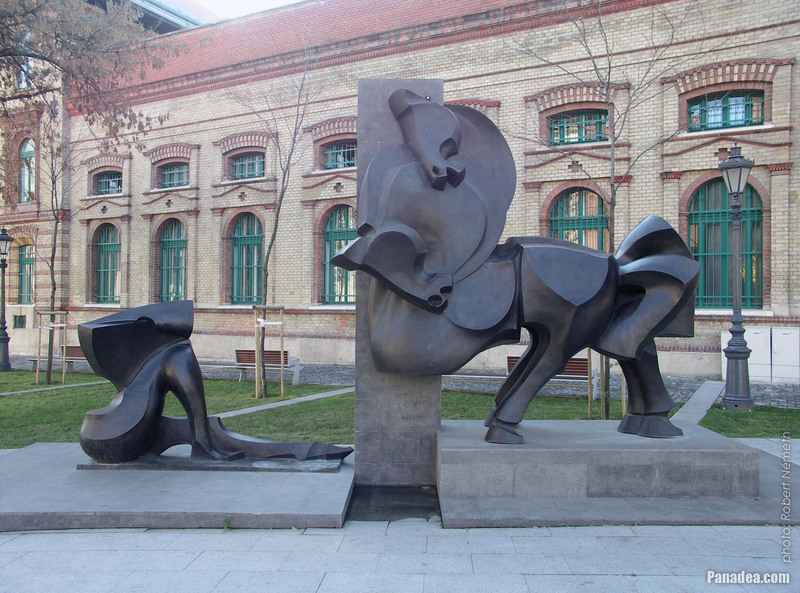 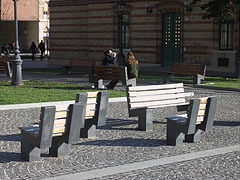 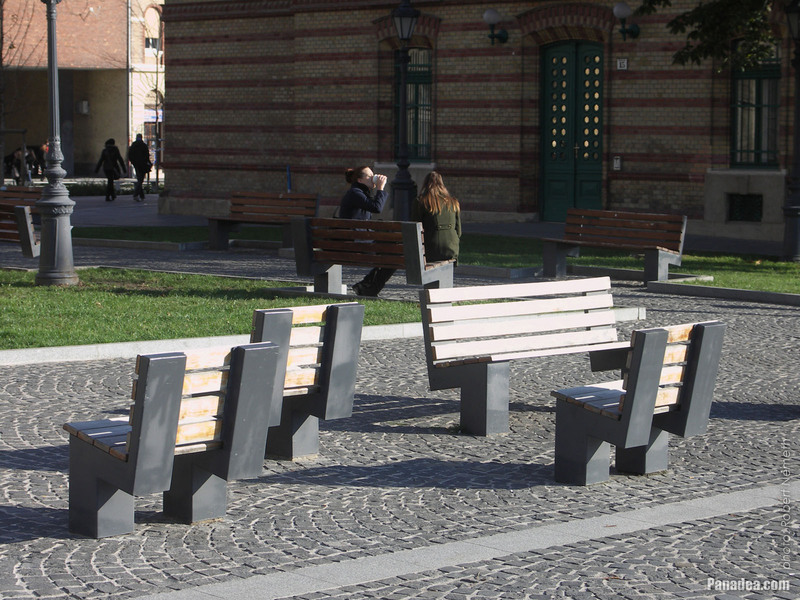 Created by the Slovene sculptor Andrej Gabrovec Gaberi in 2013. 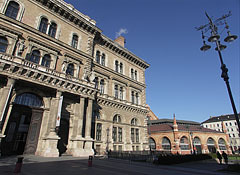 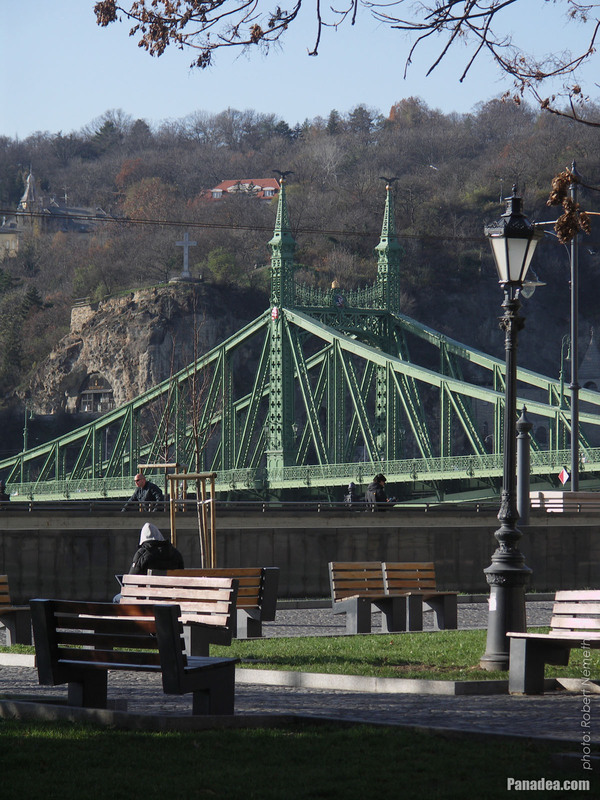 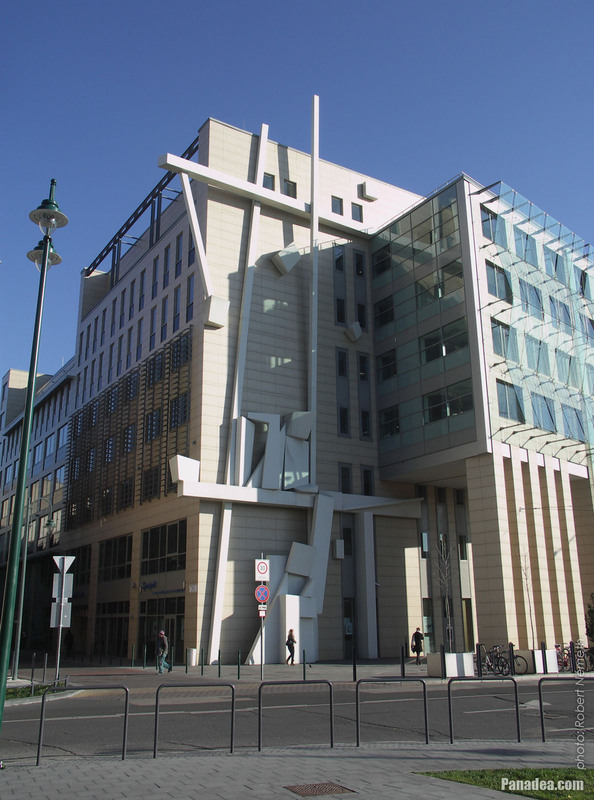 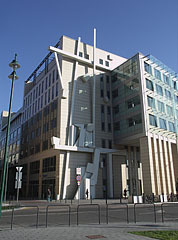 The large modern artwork on the left side of the facade is called "The spirit of the construction", created by György Jovánovics in 2009. 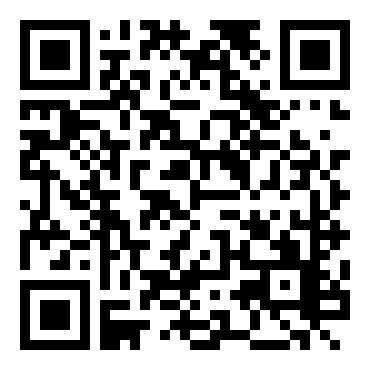 Created by Viktor Kalló senior in 1994. 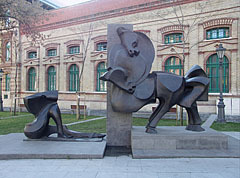 Created by Aladár Farkas in 1957. 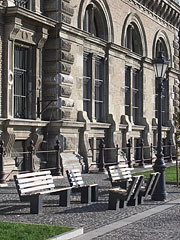 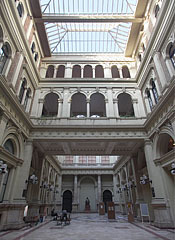 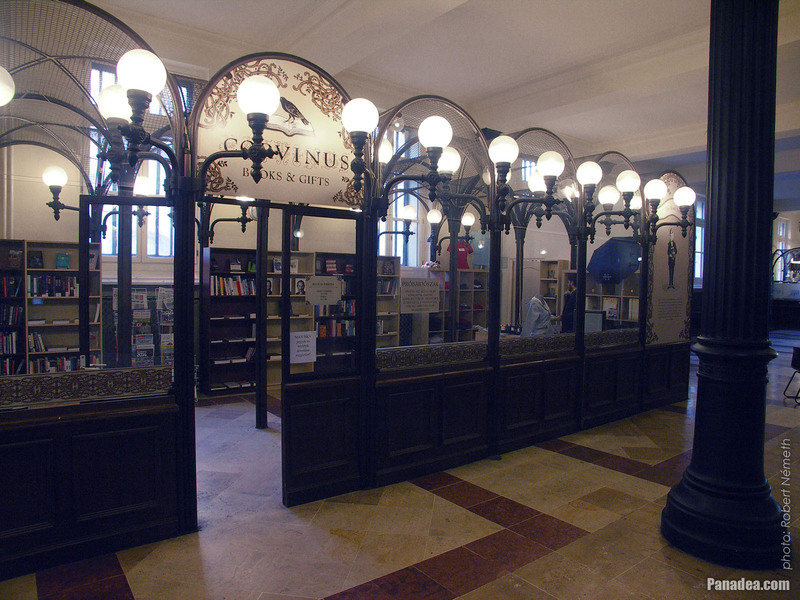 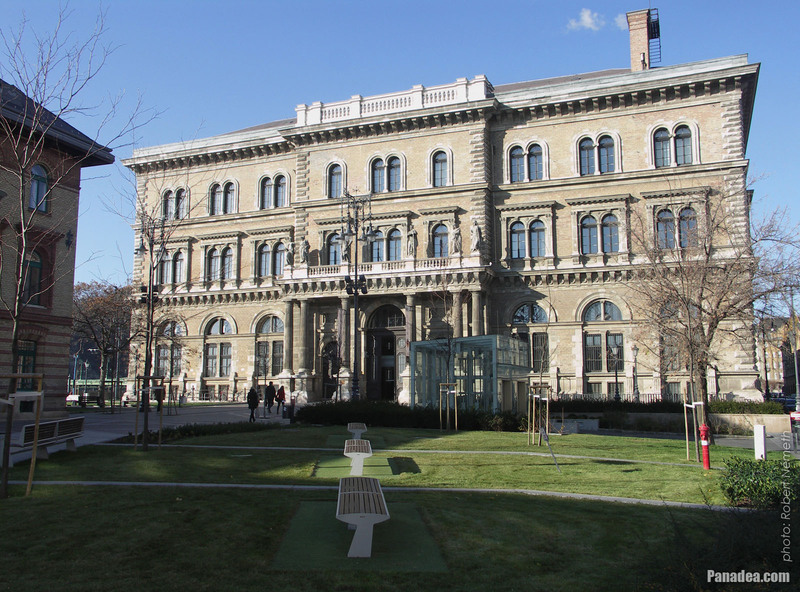 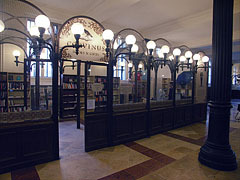 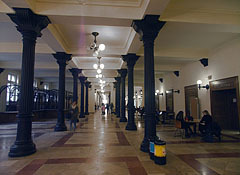 Designed by Keresztély Ulrich in 1887, the building was completed in 1890.